R&B singer Brian McKnight, the morning radio host, along with Pat Prescott, at CBS Radio's Smooth Jazz station (KTWV) 94.7 The Wave in Los Angeles is now partnering with ABC Radio Networks to host a new slow jams night show "The Brian McKnight Show" originating from 98.7 Kiss FM (WRKS) New York. The program will air weekdays from 7 to midnight ET. The show will include interviews with entertainers from the world of music and film, discussions on love and relationships and McKnight's selection of ballads from today's top musicians. 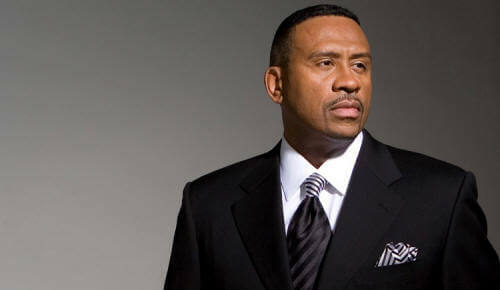 In the evening time slot was "Kissing After Dark" with Lenny Green, who will now co-host "The Brian McKnight Show." McKnight says, "The opportunity to have an intimate visit each night with an audience looking for some good soul and R&B plus a bit of conversation is going to be a thrill for me. I'll be able to connect with our listeners on the air, on the phone and in our live Web chat room during the show. It's going to be a fun ride, and I can't wait to get started." Good Lord...ANOTHER non-radio personality taking a job from a real raio jock. Why can't they stay in their lane and live off the money they made as artists?